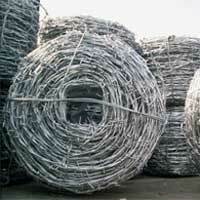 Barbed wire manufactured by us is of the optimum quality and is at par with all the quality norms. 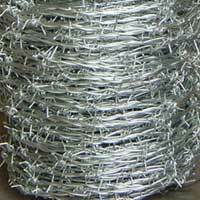 We have carved a niche as one of the preeminent Barbed Wire manufacturers and suppliers, based in India. 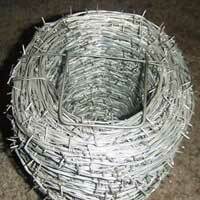 This metal barbed wire is manufactured from the superior quality raw materials, using ultra tech machines. 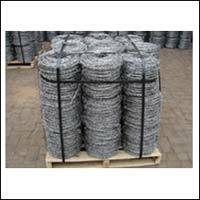 Utilization of advanced technology machines in the manufacturing of these wires enhances their life. Wires manufactured by us are highly coveted in the market for their superiority, which has assisted us in achieving a reputed name in this industry. 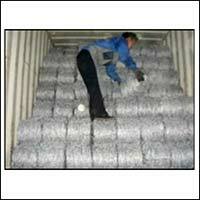 These wires are easily available in the market at the most competitive prices. Strand and Barb in B.W.G Barb Spacing 3" Barb Spacing 4" Barb Spacing 5" Barb Spacing 6"